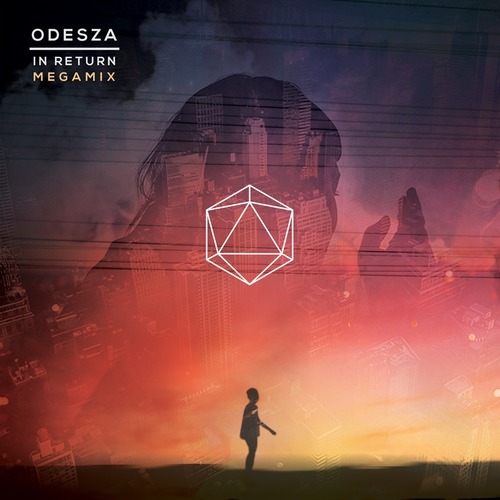 Earlier today THUMP premiered ODESZA‘s starry-eyed and atmospheric 15 minute megamix unveiling tracks off of their forthcoming album ‘In Return‘ out September 9th via Counter-Records. With half of their upcoming fall tour sold out and new album underway, Harrison Mills and Clayton Knight, the savvy duo of ODESZA, have proven their distinguished place in the world of dance music. ‘In Return’ is dripping in enchanting vocals, sweeping bass lines, and spiraling synths creating a sound that is nothing but satisfying. Do yourself a favor and get lost in the dreamy, mellow, and refreshing world that ODESZA effortlessly creates and anxiously wait for the drop of the entire album. Listen to the mix below via SoundCloud.